The forerunner of the modern neck or bow tie, this Empire Cravat is the perfect finishing touch for your formal Victorian or Steampunk look. 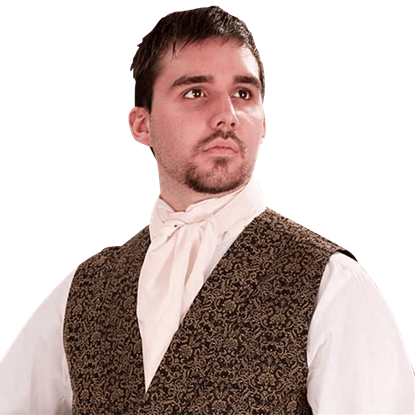 The Empire Cravat is one size fits most and can be worn by men or women. 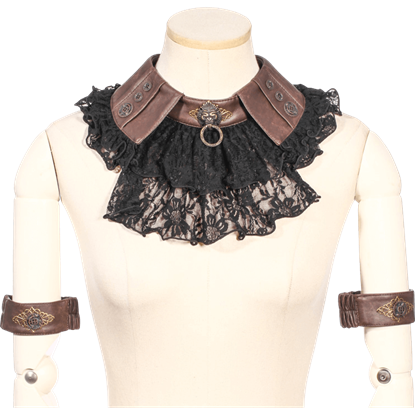 If you love the classic look of a tiered collar, but you seem to find yourself having several shirt with which you want to wear one, then the Lace Steampunk Geared Jabot with Armbands is undoubtedly the perfect accessory for you! 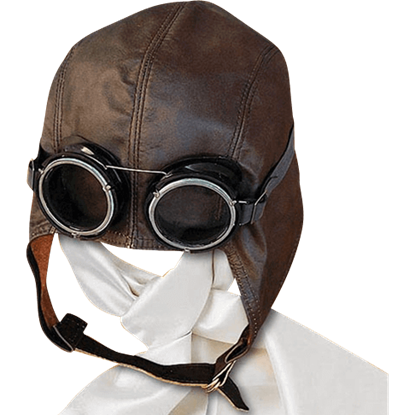 This silk white scarf is the perfect complement for many airship ensembles. Our Silk Flying Scarf has a long length for stylishly wrapping about the neck, and its versatile form suits a wide variety of characters and settings. Bowties are all the rage right now! Even in an alternate history, this delightful formal accessory has made its way back into style. 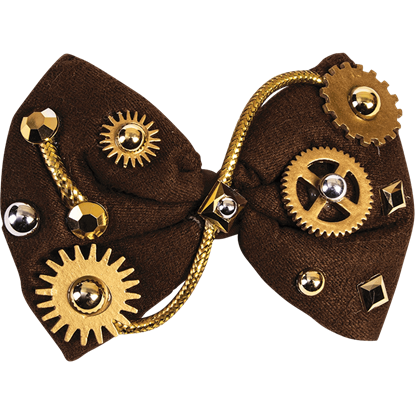 Express your neo-Victorian style in virtually any situation when you wear the Steampunk Bowtie! Similar to a cravat or jabot, this charming collar makes a fantastic accessory for your period ensemble. 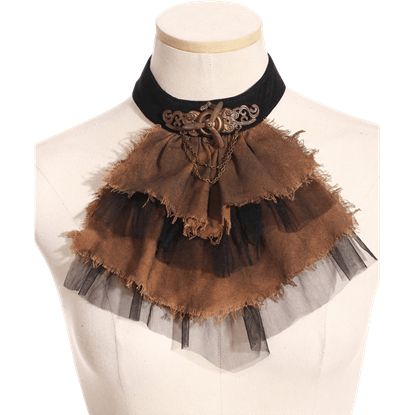 The Steampunk Crinkle Chiffon Button Collar features draped brown material that can be fanned out for a great look. Turn an average blouse into the start of a striking steampunk ensemble with the addition of this dramatic jabot! The Steampunk Propeller Net Jabot features alternating layers of tattered fabric and sheer net material. Travel back in time to the Victorian era with this spectacular steampunk choker collar! 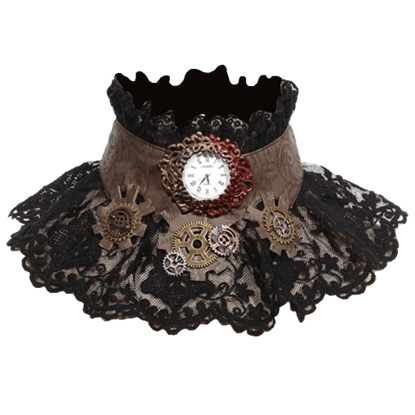 The Steampunk Timepiece Lace Collar fans around your neck in a dramatic display of lace and steampunk ornamentation. 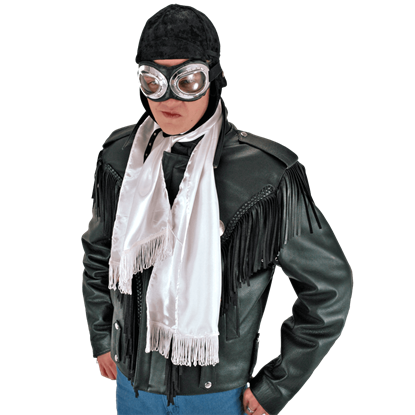 Spread your mechanical wings with the Steamworks Lightweight Wings Scarf. This printed scarf is generously sized, making it versatile to wear as a scarf or wrap. 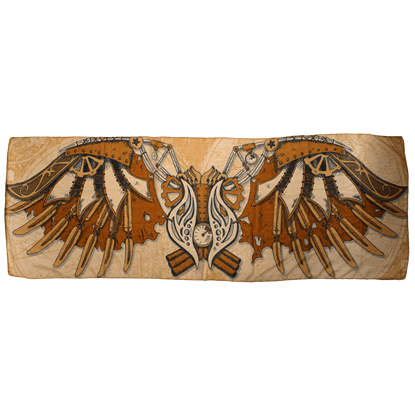 The design features steampunk styled wings superimposed over a map print. 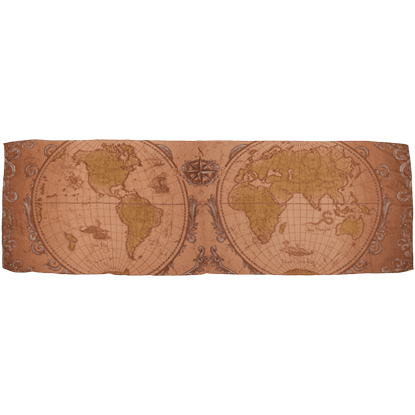 Whether you enjoy sailing the Seven Seas during the Golden Age of Piracy, or voyaging beneath their surface in a steam-powered submarine, you will love the stylist twist the Ye Olde World Map Lightweight Scarf adds to your costume. Our Youth Piccadilly Drop Point Sash is the perfect piece to finish almost any period look. The soft black velvet belt dips into a subtle point in the middle of the front, providing a touch of elegance to the waist.